The price is 13900 Euro. 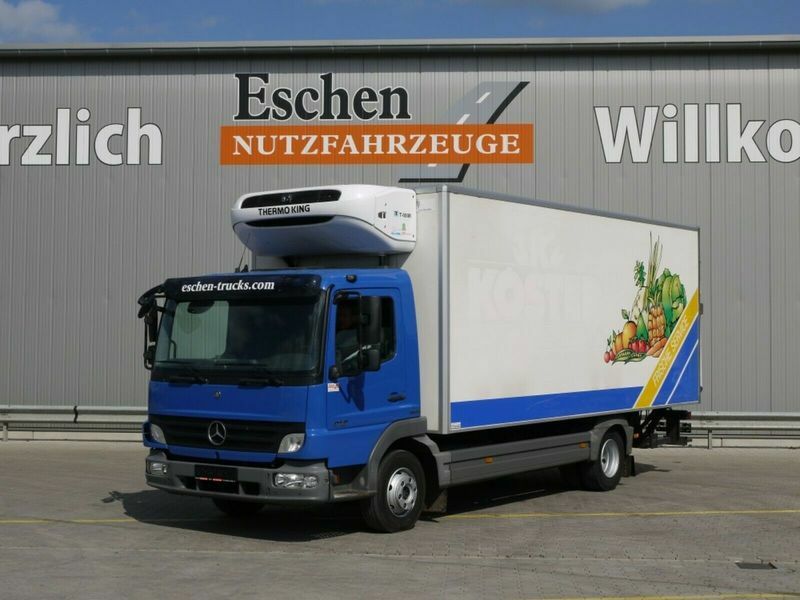 Check the technical data of the unit, picked out from the catalog of MERCEDES-BENZ Atego refrigerator truck. This commercial transport unit was produced in 2010. Gross Vehicle Weight: 9500 kg. The details on engine output, gearbox and emission class are as follows: Euro 5, diesel, 177 hp, gearbox: manual. Driving cab specifics: cab type: day cab, cruise control. Bodywork: loading length: 6100 mm, loading width: 2480 mm, loading height: 2250 mm. The mileage is 579100 km.